This is a question I hear often. As a simple answer, I made time. I used to spend 15-20 hours per week side hustling but realistically, I know that’s not possible for everyone especially if you have kids and other responsibilities. My son is school age and starting to become more independent so I was able to get by with my heavy workload by cutting out time consuming activities like watching television, aimlessly surfing the web, cooking large and complicated meals and so on. However, I understand that some people might not have those options or might have already cut a few activities out of their schedule and still can’t find the time or energy to earn some extra income on the side. 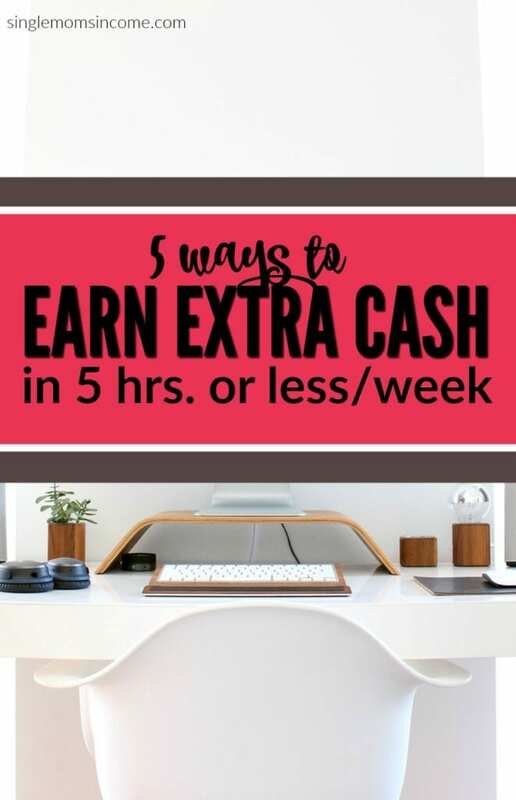 The key to this issue is to establish some side hustles that you can do quickly and efficiently and to avoid doing work for an hourly rate unless the rate is high enough to meet your needs. 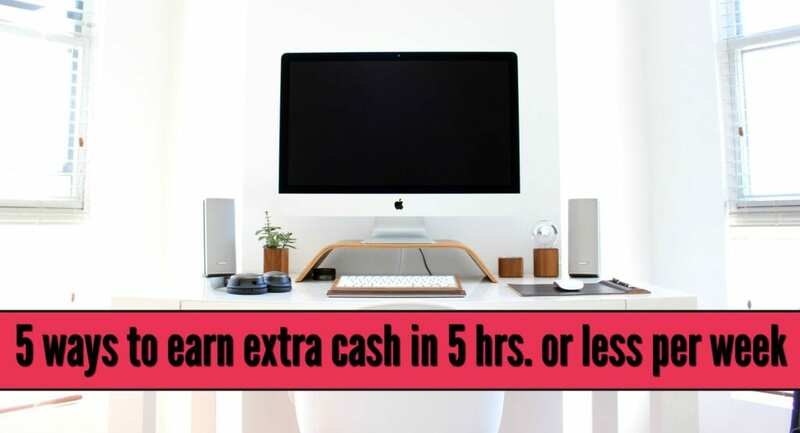 Getting paid hourly means your earnings heavily reflect how much time you spend on your work whereas getting paid per assignment or project can be less time consuming as it focuses on the quality of the results and not how long it took you get get there. If you are looking to make some extra money without spending too much energy or time, these side hustles are worth looking into. Walking other people’s dogs is a great way to get some exercise in and earn some extra money at the same time. Busy individuals who either work long hours or travel a lot often don’t have time to walk to walk their dogs and depend heavily on dog walkers. Since you can walk multiple dogs at once and the average dog only needs to be walked for 10-15 minutes on average, you can make a decent amount of money in no time. To find clients, you can sign up for Rover.com which connects dog owners with dog walkers, or apply to be a dog walker with Wag! Rover allows you to set your own terms and rates and offer additional services like pet sitting. With Wag!, you have to apply to be a dog walker and at least be 18 years old and download their app. Dog walkers with Wag! Can make up to $25 per hour. If you’ve been meaning to declutter lately, consider going through all your things and listing some of them for sale online. Sites like Craigslist, Amazon, and Ebay make it easy to post listings and you can just set it and move on about your day since you’ll be notified if you make a sale or if a potential customer inquires about the item. If you’re selling items online, you’ll need to take presentable pictures in good lighting and use specific keywords to describe the item when you place a listing. If you prefer to sell items in person, you can check out local resale shops. Most resale shops have similar policies allowing you to drop off your item(s) so someone on the staff can look at it and determine whether they’d like to buy it from you or not. If they choose to give you an offer, you can come and pick up the money. There are resale shops like this available for furniture, kids’ clothes and toys, electronics and games, and more If you have kids, you’ll be sure to find lots of clothes and toys they aren’t using, you can drop them off at your local Once Upon a Child store to see if you can earn any extra cash. Advertising companies have literally tried everything. If you want to advertise with your car, you’ll have a variety of options to choose from these days. Companies will basically pay you to place an ad on your car and drive around as you normally would. The ad placed on your car is commonly referred to as a ‘wrap’ and which is usually made from a vinyl material and is easy to remove without damaging your vehicle. It’s usually free to put in an application with most companies and set up the ad, but they do have certain requirements like Carvertise for example who requires drivers have a 2005 car or newer and drive at least 25 miles per day on average. When considering whether or not you’d like to try this side hustle, make sure you are already driving your car for other reasons like getting to and from work, running errands etc. You don’t want to feel pressured to drive more than you normally would and spend more gas money which would defeat the purpose of earning extra income through this opportunity. Renting out extra space in your home is another low effort side hustle that won’t require much of your time. If you have a spare bedroom, basement, or garage space you’d like to rent out to a reliable tenant, you steady extra income each month mostly without your direct involvement. Some people who have extra space even try to rent it out on AirBnb which is a legitimate way to earn money by renting out extra homes or extra rooms or even save money by avoiding pricey hotels if you are traveling. Taking surveys is one of the easiest ways to make money online and it only take a few minutes so you can complete surveys during your spare time. Whether you’re a student, mom, or busy working professional you can take surveys after work, during your lunch break, or 20 minutes before you start class. In most cases, there will be a pre-qualifier survey you’ll need to take in order to determine if your demographics and experience match the survey taker the company is trying to target. Survey income definitely won’t replace the income from your day job but it’s a nice way to supplement your income even when your time is limited. Do you have time for any of these quick side hustles and have you ever tried any? Selling stuff I don’t use and and renting out a room are things I practice. And it has sure helped with monthly bills! That’s great to hear! It’s always nice to make some extra money on the fly without having to dedicate too much time and effort. I think my husband is going to start doing some survey next month. Do you use any sites different from the ones I recommended? Yes! I love Product Report Card! The one thing about car advertising–be sure also that your work is ok with it. Whether the company is ethical, or whether your company wants to have an ad on property (especially if it’s a business), can affect if you can even drive the car to work. Plus, in many municipalities (like NYC for example), business vehicles aren’t allowed to park on streets overnight (some do and just don’t get caught but it is a ticketable offense), and an ad covered car would require off-street parking in that situation. Excellent extra tips! Back when I had an employer, I was almost positive they wouldn’t at all if I ever wrapped my car but I the same can’t be assumed for other companies and areas. I’ve always wondered about people who put advertising on their cars, which companies they reach out to. I finally know the answer now! However, I drive maybe 5 miles per day (almost 0 on the weekends) so I wouldn’t be able to qualify, darn! Great tips on the other side hustles. I’ve always wondered to try out survey companies but when I first started with them I don’t think I had the best experience. I might change my mind, a few dollars here and there is a few dollars I did not have, which is a great help. Probably not 🙁 I used to drive a lot since my job was far and while the commute sucked, it would have been nice to earn some extra money if I would have tried putting ads on my car back then. Great tips! Everyone goes through a time period when they need extra money but don’t have much time to start some side work for more income. And, these side hustles ideas should be the solution to such troubles. Great post!!! Paid surveys are a great way to make some side income. I made a few bucks from it when I was in high school. Now I have decided to go for the big money. I started blogging three months ago and there is no going back. I plan to start making some full time income by the end of the year. Blogging requires such a time commitment and it can take a while to see steady income but if your heart is in it, I think it’s definitely worth it. 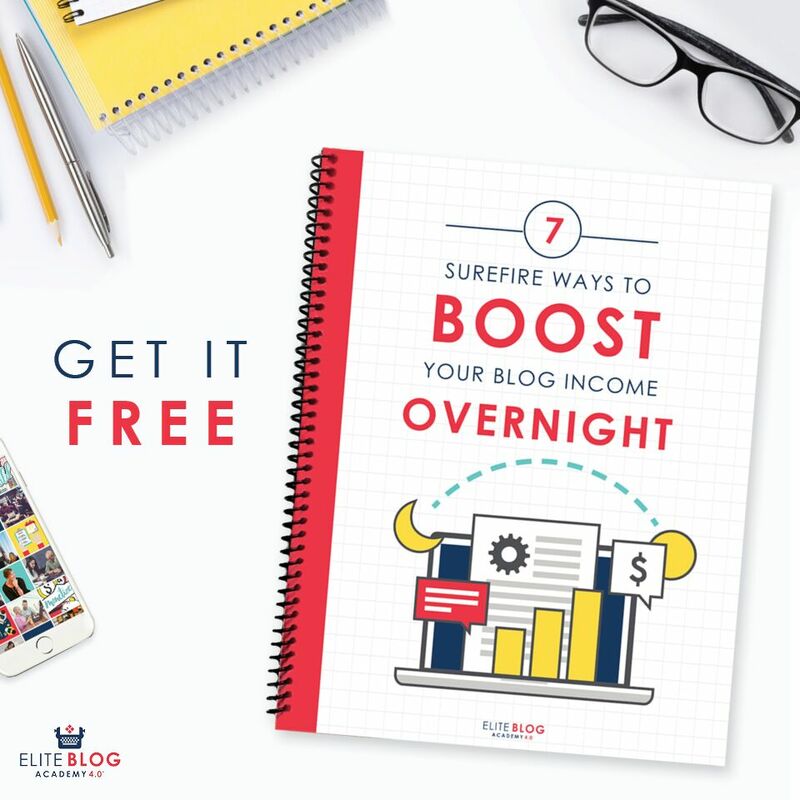 I’ve been blogging seriously for almost 2 years and the extra income has bee nice. I have tons of clothing to sell. I’ve tried yard sells, at which I’ve priced my clothing at really reasonable prices. it appears no one is looking for clothing. What is the best way to market them? They are nice pieces, men and women.